The Philippines’ startup community is thriving and because of that establishing a startup business in the country would be a perfect idea since the country is rich in resources and has prevalent local and international trades. That is why, Philippines would be a good place for investors to establish a startup company. Philippines has the potential to become the next startup hub in Asia and many local and foreign entrepreneurs and investors can agree to that. Although there have been some concerns about the country’s political stability, infrastructure, and telecommunications, foreign investors still see the Philippines as the greener pasture. So what are the things investors look for in a Philippine startup? 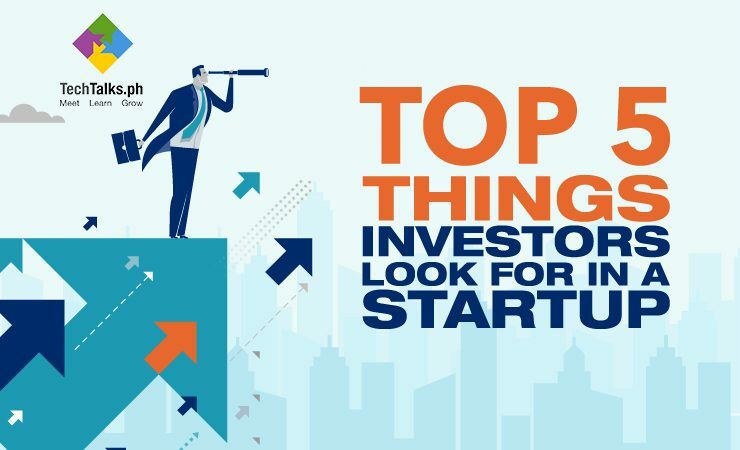 TechTalks.ph lists down the top 5 things investors are looking for in a Philippine Startup for you to woo your investors and increase your chances in getting funded. There should be a solid, working team that would elevate the Plan A to Plan Z. A good team could so much in a startup especially during crisis, a team can find solutions and navigate what’s the best step to do next for the business. In a world where there are many products and services offered, you need to make sure you stand out and offer unique solution to a problem. Is your product a “Nice to have” or a “Need to have”. Make sure that your target market is not too crowded already so that you won’t have many competitors and you need to offer something different to stand out. This is the most important thing that investors will ask. How big is the addressable market that your company is looking to serve? Big is defined as terms of not just market today, but the future market as well. If it's a market with existing solutions already, then you need to be prepared to explain how your product / solution is different from the existing brands. If it's a new, emerging product / solution, then you need to focus on how big the market is expected to get and what's driving its growth. Do your research. Are you a startup in the Philippines who is looking for an investor? Is this article helpful for you in better understanding what the investors are looking for in a startup company? Let us know what you think by dropping us a message at info@techtalks.ph.